… and what to use instead! Do you know that aluminum foil is a neurotoxin? Yes, but what is best to use instead of this Jack-of-all-Trades? Read what Alternative Daily suggests! Rose Hip – more than just Tea! Everyone knows the rose-hip! As an “itchy powder”, it made life difficult for many kids! In Germany, they even sing about the rose-hip: August Hoffmann von Fallersleben wrote a nursery rhyme about it, which goes, “A little man stands in the woods, with a black cap on and clothed in beautiful orange-red, who can it be? Ah, it must be a rose-hip” and so on (very freely translated). However, sci ence today knows better than ever that the rose-hip has much more to offer. The rose-hip is known to be one of the native plants that’s richest in vitamin C – only the acerola cherry or the exotic Camu fruit have a higher content. Our ancestors also appreciated the rose-hip and its ingredients – it was considered to be a medicinal plant for various illnesses in ancient times. It usually has a permanent place in the kitchen too, because its refreshing taste makes it ideal for the preparation of jams and liqueurs, but our best-known form of the fruit is rose-hip tea. This little reddish fruit, often referred to as wild rose, is usually found in bushes and hedges. The rose-hip variety Rosa Canina was used in the monastic medicine of the Middle Ages, when it was considered useful for treating colds and complaints in the gastrointestinal tract. Its ingredients, such as vitamin C, pro-vitamin A, B vitamins, minerals, trace elements, secondary plant substances and galactolipid, which are all present in significant quantities in the fruit, are at the root of its healing effects. Clinical studies conducted by the Danish physician and biochemist Dr. med. Kay Winther, have proven the effects that wild rosehip ingredients can have. In their research, the scientists focused on the ingredient galactolipid. Galactolipid is composed of fatty acids and sugars and is an important substance for relieving joint pain. It mitigates inflammatory joint diseases by inhibiting the migration of the white blood corpuscles into the inflamed region, preventing more cartilage tissue damage. Galactolipid is also capable of blocking inflammatory parameters, such as the CRP (C-reactive protein), which promotes inflammation. As a further positive side effect, the scientists were also able to prove that LDL cholesterol, which is responsible for the formation of deposits in blood vessels, was significantly reduced by the regular intake of rosehip powder. To obtain enough of the active ingredients, especially galactolipid, the whole rose hip must be carefully processed, i.e. the fruits must be dried at a maximum of 40° C. But rosehip tea or jam alone can’t improve inflammatory symptoms – the whole fruit, with skin and kernel, must be ground up. This is the only way to obtain a high-quality rosehip powder with a high galactolipid content. Picking and eating the rosehip raw straight from the shrub won’t taste too great either, because the rosehip has a very high proportion of tannins. It’s best to mix up the rosehip powder with your muesli and take it in juices, yoghurts or smoothies. The daily recommended intake is between 5 and 10 grams. Rose-hip powder isn’t the only rose-hip product that has a pronounced positive effect on our health – rose-hip seed oil is also very healthy for us. It’s a popular oil in the cosmetics sector, because it can be easily incorporated into creams, soaps and ointments. The oil of the rose-hip seeds also stimulates the healing process of skin injuries, and it can even provide fast relief for itchy, cracked and brittle skin. Transretionary fruit acid in the oil is responsible for this healing property. It stimulates the skin to regenerate itself and builds up new collagen at the same time. Don’t wait until the new year. If you have been on the metabolic balance plan for a year and have more weight to lose or have stopped following the plan and want to start your journey again, now is the time to start rebalancing. A rebalancing should be done with the assistance of your coach. Because the focus of the metabolic balance plan is to help you have a healthy lifestyle, a rebalancing should be done no more than once a year. If you find that you need to do a rebalancing several times in a short period of time, you may have diet issues that need to be addressed by your coach. If you would like to read more about the metabolic balance plan, please check out our posts for phase ½, phase 3, and phase 4. *Alarm weight. Sylvia Egel uses an alarm weight with her clients as a warning that something is wrong. If a client reaches their alarm weight, they need to do a rebalancing to get things back on track. Let your coach know that you are rebalancing and discuss with your coach the challenges you faced or are facing with eating the metabolic balance way. Prepare your kitchen/home for phase 1 and 2. Eliminate any foods from your house which will derail you during those first few weeks. Lighten your schedule and try to keep the stress down while you are making this healthy change to your body and your lifestyle. Every few months, we talk about rebalancing because it is an important part of metabolic balance. Over the year, life can get hectic and your positive and healthy habits may be pushed aside by older and more ingrained one that still have a grip on you. If you have bread left, you don’t have to eat it! The less bread the better. If you are allowed three pieces of bread a day but you only eat two pieces, don’t worry! Don’t drink anything but water between meals. Really, anything else may start the digestive process so it is better to stick with cold or hot water. If you get sick while on the strict phase of the plan, stop and take care of yourself. You can start over again once you are feeling better. Temptation is everywhere but everybody can avoid temptation for two weeks. It isn’t that bad to say no for two weeks. If you are looking for more tips, don’t forget to read yesterday’s post about rebalancing! Not everyone wants to wait for the new year to get back on track with metabolic balance. If you overdid it on Thanksgiving and you want to start rebalancing, let your coach know! Don’t tell anyone. This is the holiday season and many people will not understand why you are “sacrificing” on food. You do not need to waste energy explaining. 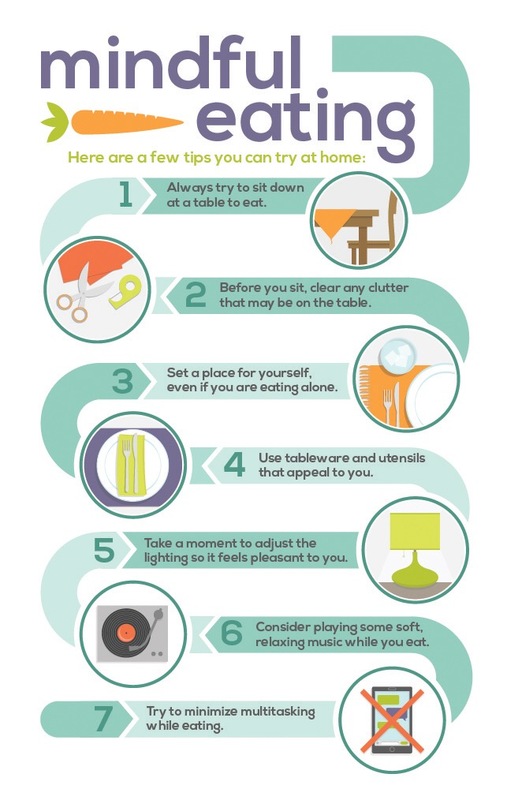 Most people will not notice that you are not snacking or eating their holiday cookies. If they do notice, just say that you’re working on eating mindfully and change the topic to mindful living. If you need a refresher about mindful living, visit our posts about living a mindful life on metabolic balance. Clean out your kitchen of any foods not on your plan and donate them to a food kitchen. Do not eat them. If they belong to your family members, put them in tupperware on a lower shelf so that they are not in your face when you open the cabinet. Plan your menu for the next two weeks. Keep life simple. Create soups like Zucchini Basil Soup and Turkey Pho Soup or make a cauliflower pizza crust and avoid recipes with lots of ingredients or long preparation times and oil. Figure out how you are going to drink your water. Buy a special water bottle and a filter system if tap water doesn’t taste good to you. Do not add flavouring to your water. Get plenty of sleep. You are taking care of your body during a rebalancing and your body needs time to fix itself. Sleep is the time when your body builds up the immune system and gets everything back on track. Do you have a smartphone? Download a silly game to play when you have the urge to snack on something. There is a no snacking rule with metabolic balance but your brain does not understand this. The impulse is there and you need to work your way through it and offer yourself an alternative that is easy to implement. No one wants to get sick. Luckily, there are a variety of healthy habits that you can easily add to your daily routine to make sure you reduce your risk of catching a cold or the flu. Avoid close contact with people who are sick. If you are the one who is sick, stay away from healthy people which means, you should stay home if you are sick. I know this may be difficult if you have a work deadline but your body needs to rest to recover and the public doesn’t need to be exposed to your illness. This means, you should not run errands just because you are not at work. A sick day really means hanging out at home and letting your body recover. Cover your mouth and nose when you are coughing and sneezing. After you’ve sneezed wash your hands or use an alcohol based hand rub to ensure you are not transferring germs to door handles, telephones, and other areas where many people put their hands. Don’t touch your face unless you’ve washed your hands. When you touch your environment and then your face, you are transferring germs onto your skin, mouth or eyes. Clean often touched surfaces including doorknobs pens, and keyboards. Washing your hands frequently. Your hands especially under the fingernails carry an abundant number of germs. Take the time to wash your hands with warm soapy water – sing happy birthday to yourself for 20 seconds and then dry your hands with paper towels using the towel to turn off the water. Exercise to build up your immunity. Schedule twenty to 30 minutes of cardio everyday. Research has shown that women who workout had one third of the colds of women who did not exercise. Get enough sleep. Your body needs time to recover. Research has shown that short sleepers are more likely to get sick. 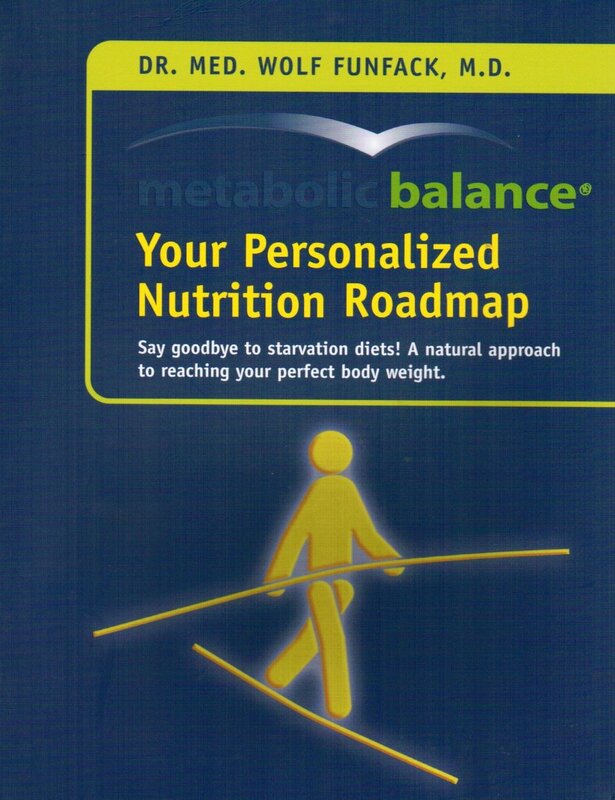 Follow your Metabolic Balance® plan. – Metabolic Balance® has reviewed what your body needs to be balanced so following your plan will help ensure that your body is healthy and able to support your immune system which makes it easier to fight off a cold or the flu.